Why become a Culips Member? Unlimited access to over 500 study guides. Get fluent faster. Our newest series is exclusive for Culips Members. All your Culips files in one convenient place. What's in the study guide? Become an expert listener and understand what native speakers say by studying with the transcript. Level up your vocabulary with the detailed vocabulary explanations in our study guide! Speak like English natives by using the right words at the right time. Writing and discussion prompts that will push you to take your English to the next step. Test your comprehension with the quiz. The study guides come in two formats: mobile friendly or PDF download. We’re happy to announce the Culips Dashboard, a special new site for Culips Members. 1. What is the Culips Dashboard? 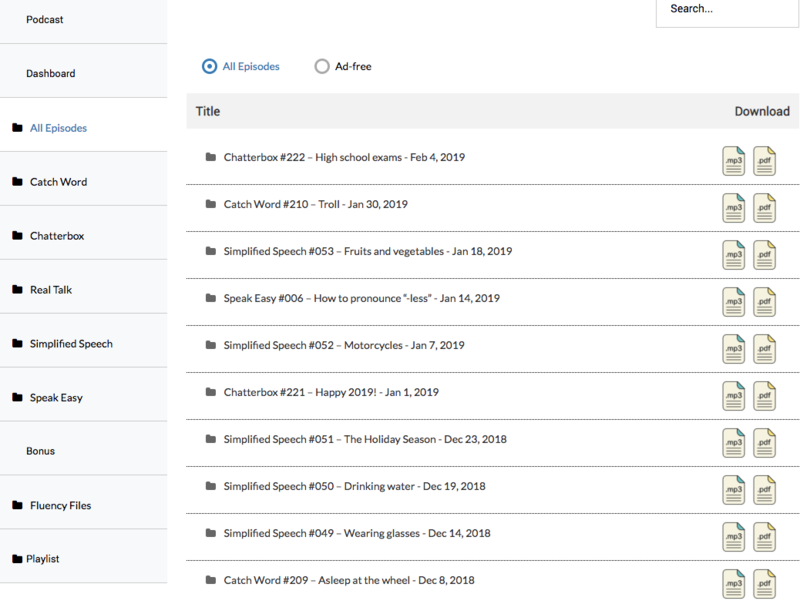 The Culips Dashboard organizes all of our audio lessons and study guides in one convenient place. Accessing our library has never been easier! 2. Where can I find the Culips Dashboard? You can access the Dashboard from the Membership menu on the Culips homepage. 3. What can I do on the Culips Dashboard? 4. What are the Culips Fluency Files? The Culips Fluency Files are short audio stories that are designed for repetitive and intensive study. Each Fluency Files lesson comes with a study guide and listening exercises. They are available for free to all Culips Members and can be downloaded through the Culips Dashboard. Get fluent faster with the Fluency Files.